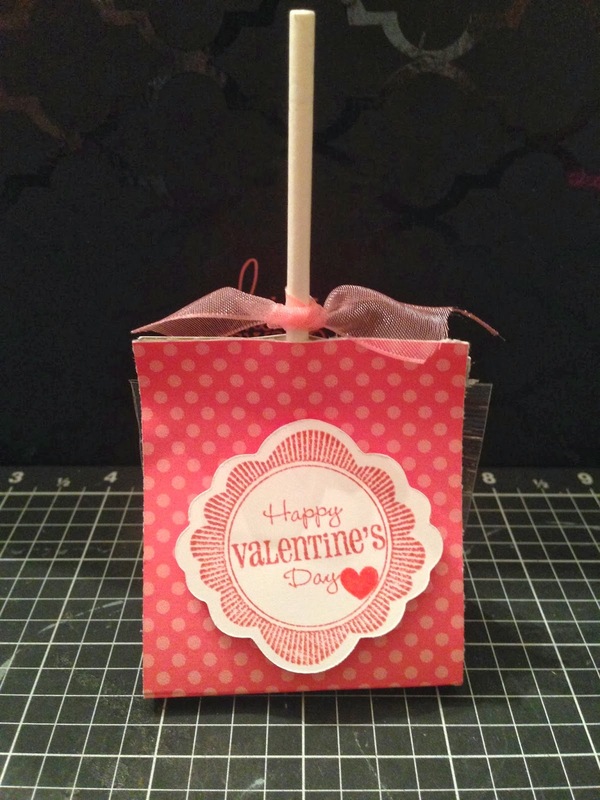 The last couple of years I have made my girls V-Day goodies for their classmates. This year I am ahead of the game and completed my 2nd graders this evening!! I saw a cute idea taught by Veronica Durfey I had to try. It was so easy to make. Here is the finished product using non traditional colors. 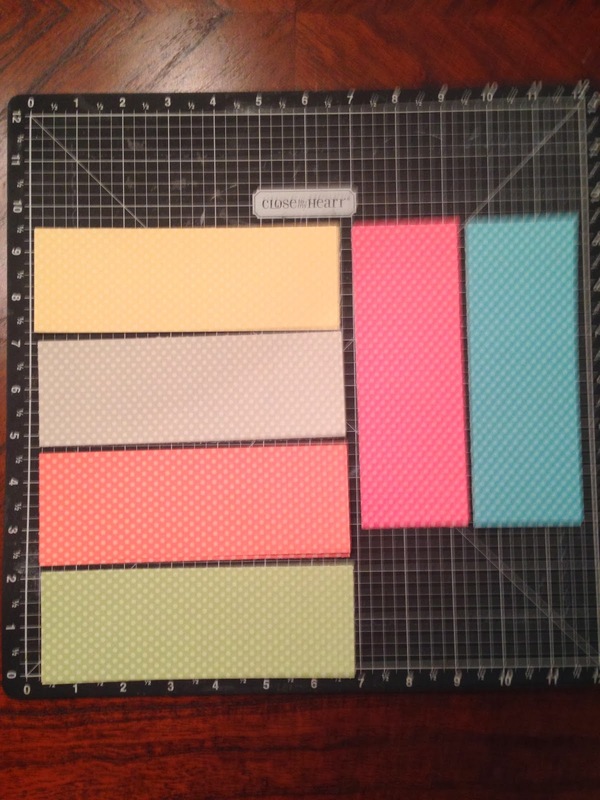 I had tons of CTMH Dotty For You (retired) paper so I figured I would put it to good use!! 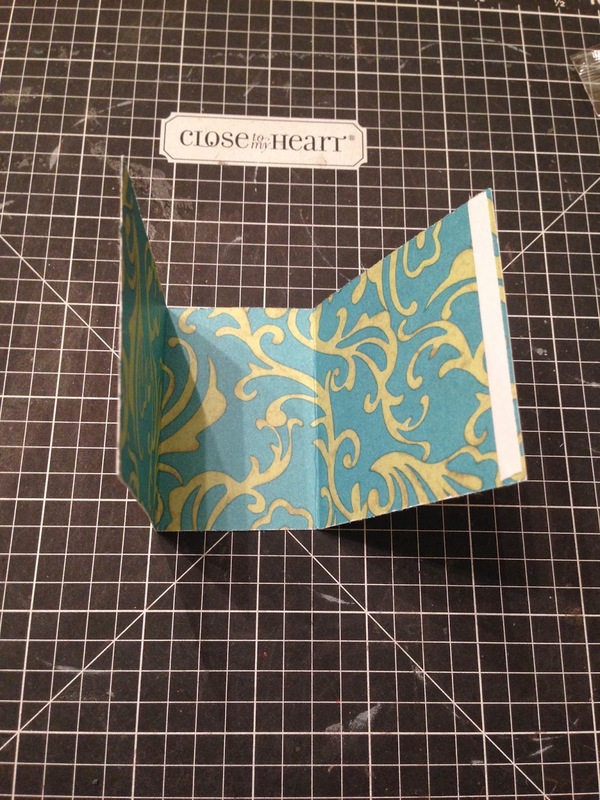 Score your card stock at 2 1/2 and 4 inches. 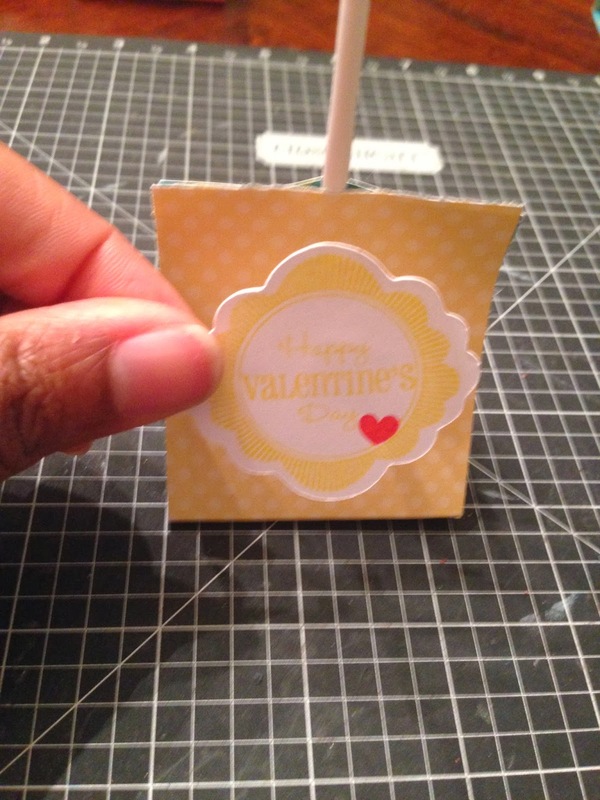 I cut out the tag I wanted to use from the Holiday Tag stamp set using the CTMH Artiste cart. 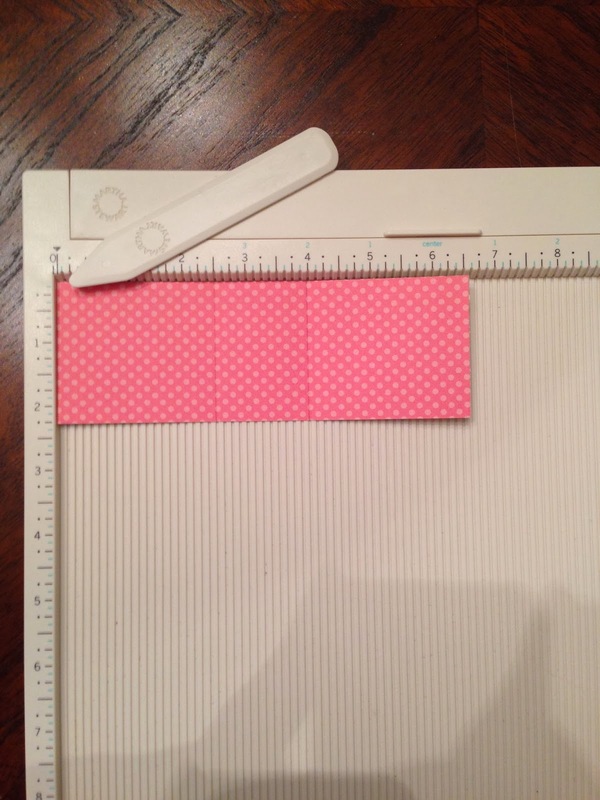 The cut is from pg 33, Accent 4 with the dial set at 1 3/4 inches. 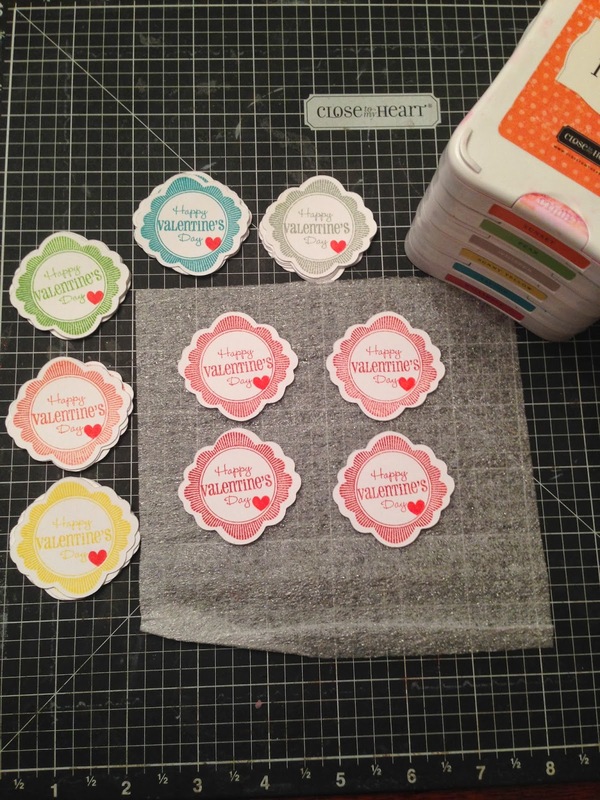 The heart is from the Whoo's Your Valentine (retired special) stamp set. 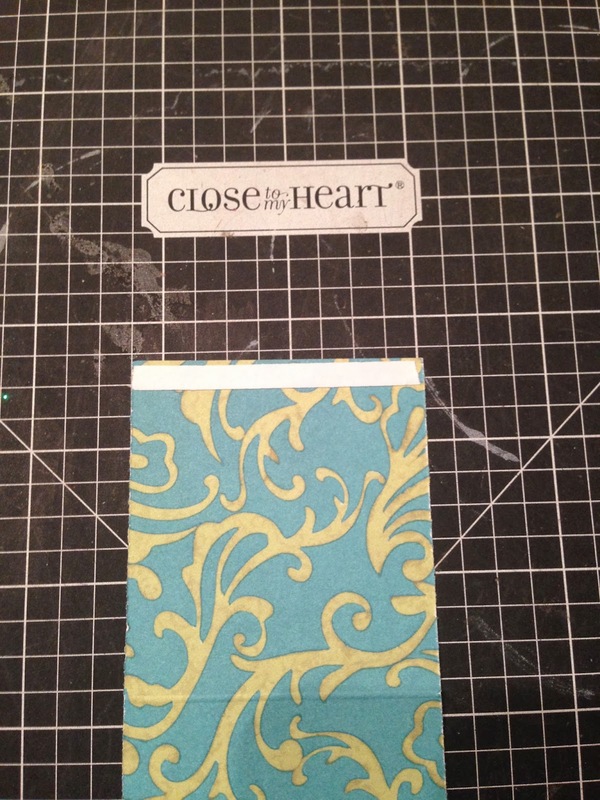 I stamped each cut with the corresponding ink colors to match the patterned paper. 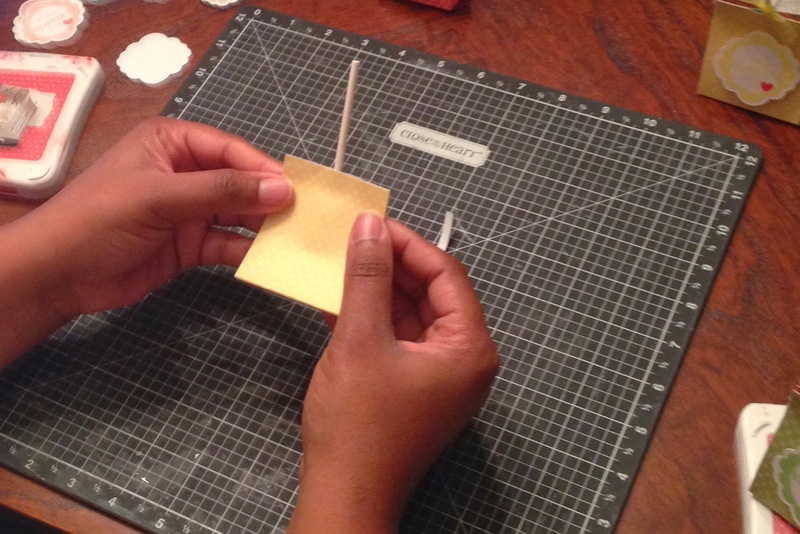 Take your scored piece of card stock and place double sided tape on one end. Bend the scored piece of card stock on the score lines. 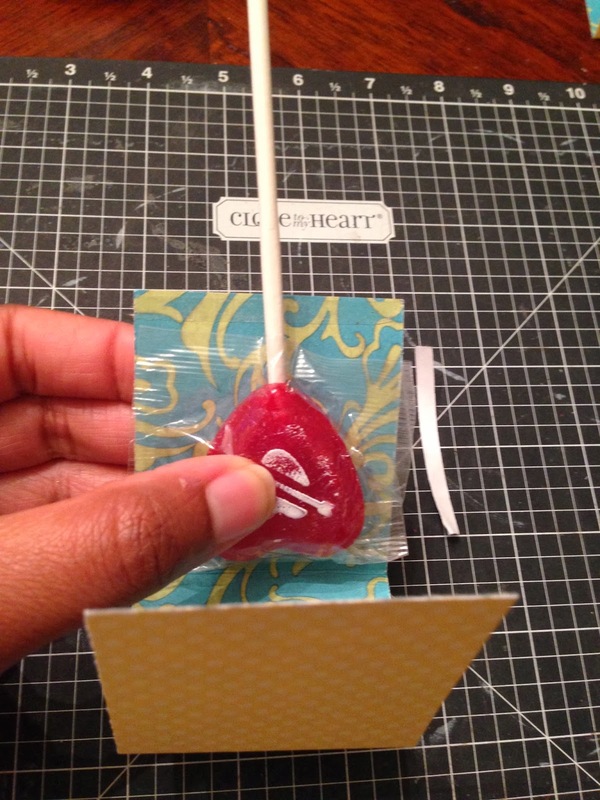 I folded up the plastic around the lollipop (there was too much plastic causing the lollipop plastic to hit the score line) and placed it up against the card stock on the side with the double sided tape. 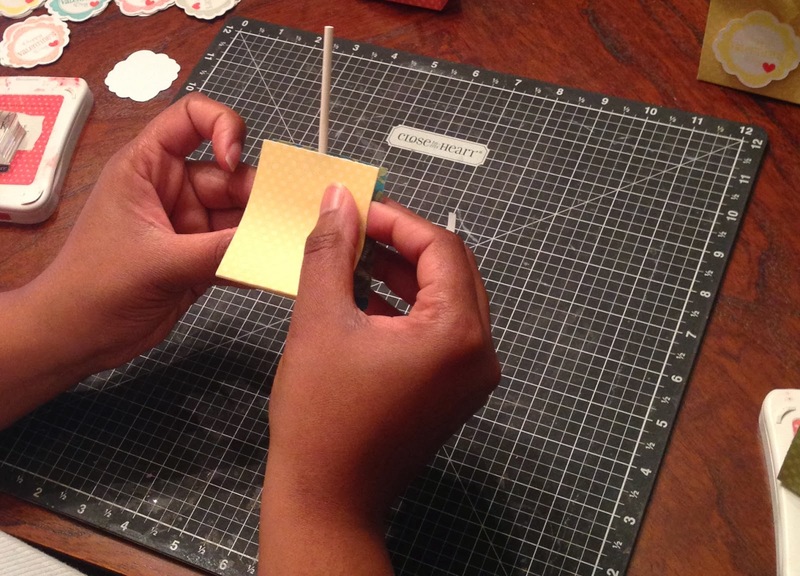 I than folded the other end (without double sided tape) connecting it edge to edge with the doubled sided tape edge. 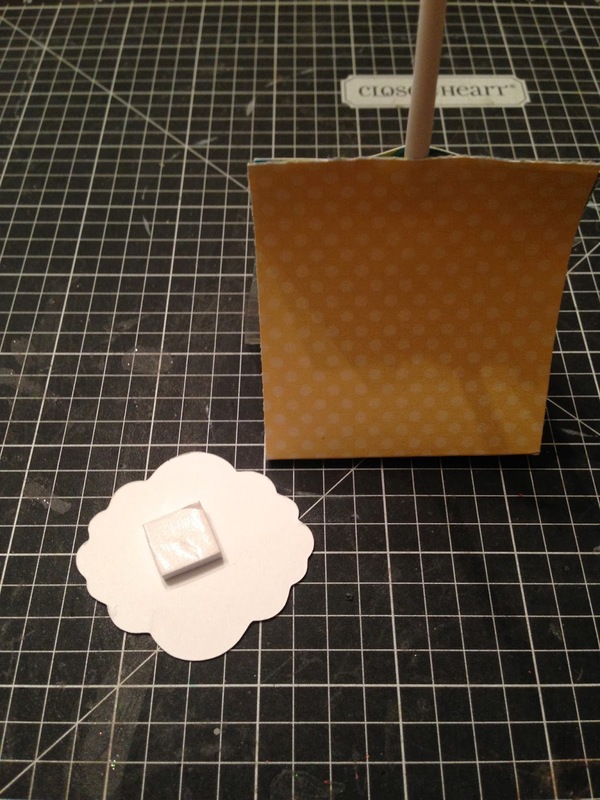 Take the stamped tag and add a piece of 3-D foam tape. Here you have it a finished lollipop wrapper!! So very cute!! These are super cute! Thank you for providing the step-by-step details. Thanks, what a cute idea!